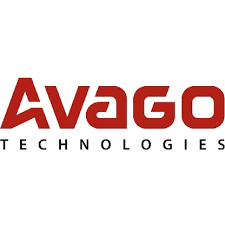 Avago’s extensive product portfolio serves four primary target markets: wireless communications, enterprise storage, wired infrastructure, and industrial and other. Applications for our products in these target markets include cellular phones and base stations, data networking, storage and telecommunications equipment, factory automation, power generation and alternative energy systems, and displays. Avago Technologies opened for trading on NASDAQ on August 6, 2009. Enjoy the video from the opening ceremony. Check out Avagos new embedded parallel optic module video. High definition video, internet voice communications, cloud computing and broadcast video-on-demand services all require networks to be faster and more responsive. Jamshed Khan, optocoupler application engineer for Avago Technologies, demonstrates Avago's new miniature isolation amplifier, the ACPL-C79x, for current and voltage sensing applications. The demo shows Avago Technologies best-in-class high temperature 25G 850nm VCSEL integrated into our high volume SFP+ production platform operating over OM3 multi-mode fiber. This demonstration shows the world's first high speed consumer optical interconnect streaming High Definition (HD) video through a USB 3.0 Active Optical Cable using fiber optic modules from Avago Technologies. The demo shows connectivity between Avago Technologies 10GBASE-SR SFP+ transceivers and the new QSFP+ 40G-iSR4 transceiver over 100 meters of OM3 multi-mode fiber. This video shows PCIe Gen3 operating as an active, eight lane aggregation pipe over an optical link, delivering a full 64Gbps (128Gbps bidirectional) performance. It uses the PLX PEX8748 Gen3 switch and Avago MicroPOD optical modules. Lab performance comparison of Avago Technologies SFP+ Active Optical Cable (AOC) versus direct attach copper (DAC) SFP+ cable showing the superior performance of the Avago SFP+ AOC. Avago's longest reach 40GbE proven with leading multimode fiber cabling vendors at OFC/NFOEC 2013. Avago's new 40GbE QSFP+ eSR4 multimode transceiver extends beyond 500 meters. In this video, we demonstrate our latest 100G CFP4 LR4 solution. It is our new generation of 100G LR transceiver module solution based on the new CFP4 MSA form factor. The solution supports 100Gbit Ethernet data transmission over a 10km distance.